A near reverential dedication to truth is the foundation Tory Lanez’s artistic identity. Unabashedly introspective and keenly observant of the outside world in equal measure, the rapper – born Daystar Peterson – in Toronto, spent his early adolescence honing the sure-footed, narrative-led lyrics that have become synonymous with his singular style of rap. 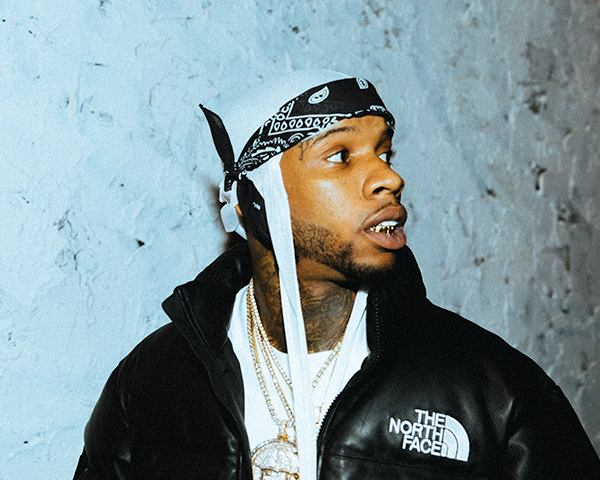 Lanez’s sophomore studio album, Memories Don’t Die, comes as a follow up to his 2016 debut, I Told You, which featured the #1, Double Platinum singles, “Say It” and the Grammy-nominated “LUV.” The sprawling musical opus, which highlights moments in the 25-year-old’s history spanning from early childhood through 2017, is held together by the rapper’s innate talent for uniting genres into new, hybrid soundscapes. Memories Don’t Die is defined by revisiting traditional hip-hop and R&B conventions. Lanez embraces the world of knocking 808s, with the growl and punch of unembellished instrumentals alongside the polished gloss of his trademark croon. The album features 50 Cent, Future, Wiz Khalifa, Fabolous, NAV and more. In short, memories truly have not died for the Grammy Award nominee – he is able to recall his own life story with remarkable clarity and translate its impact on his present with pragmatism, verity and true emotion. We are seeing Tory Lanez for what he is—a young man growing, progressing and learning in an ever-changing world that can be capricious and cruel, but also beautiful and filled with warmth.